Hello judges of the Pacific Northwest! One of the concerns we’d like to address with this blog today is one we’ve heard from around the region. Our judges don’t know who our area captains, or Level 3s in the region are. Therefore, we’ve gone ahead and asked some of our L3s and Area Captains to introduce themselves, so that you can read a bit about them, get to know them better, learn who to contact for a question about judge testing, or where the next conference in your city or state will be! We hope that this article is could be the start of a good conversation, an introduction to discuss a topic, or just who is available for you to know is a nearby, all around awesome judge! Without further Ado, your region’s leaders!! 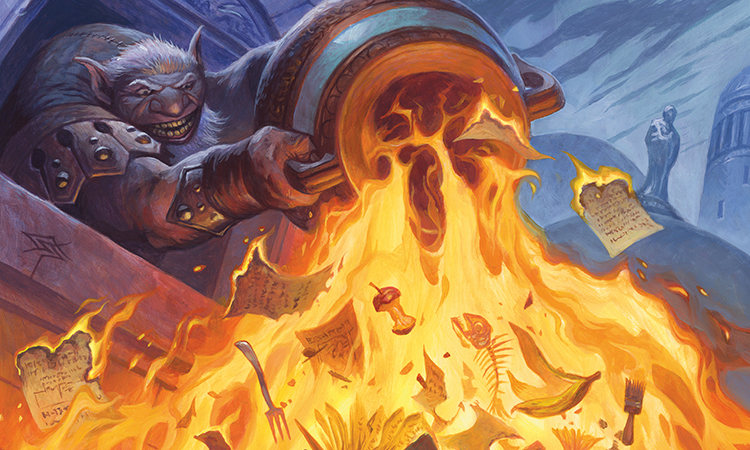 What’s your favorite format, deck, and magic card? I became a Judge initially in large part because I tended to know the rules better than everyone around me, and we had literal 0 Judges in the area! extensive real life decks for both formats. My collection piece cards are both Johan from Legends, and Serra Sphinx, both for the art. I have hundreds of each, including artist proofs and signed copies of Johan! If anyone happens to find the original art for these I would be ecstatic to know about them 🙂 Tournament wise I am a big fan of Lingering Souls and Young Pyromancer and try to find decks that play one or both. What do you enjoy most about your area/community? about! Judging more than FMN and Pre-Releases is few and far between. Do you have any hobbies outside of Magic? We have a great community of judges. They really seem to care about growing the community and are genuinely interested in helping improve each other. They’ve created friendships that go beyond Magic and Judging. The passion for the game is strong here. What’s one hobby or thing you do that you enjoy outside of Magic? I enjoy all formats of Magic but if I had to choose only one to enjoy with friends it would be draft and competitive is standard constructed. Any Cult of Rakdos deck is my favorite. I enjoy how diverse the players can be week to week depending on who moves to, is stationed on and/or visits Guam. Guam is near the Philippines Sea and in the Western Pacific Ocean. The island is five times smaller than Rhode Island with a population of 166 thousand people. We are a small community but we go out and gain experience. I enjoy designing graphics online and learning digital graphics on my own. I also relit my love on console games (I won’t say which one) and I am waiting for the new World of Warcraft for PC. Most people don’t know I am my own worst critic and I enjoy making new friends. My community is small and very tight. Everyone that is serious about playing Magic knows all the other serious magic players. For several years, I was the only L2+ judge in Hawaii and am still the only one on Oahu- which is a bit frustrating at times. I have only been able to play in one PPTQ since PPTQs were invented. I listen to about 30-50 audiobooks a year, exercises in several different ways on a daily basis and I enjoy spending time with puppers, usually in the form of humane society volunteer work. My favorite format is Draft, as it allows me to enjoy many new sets and be innovative with cards that are often not played. My favorite deck is my Old School Land Destruction (does that make me a bad person?). 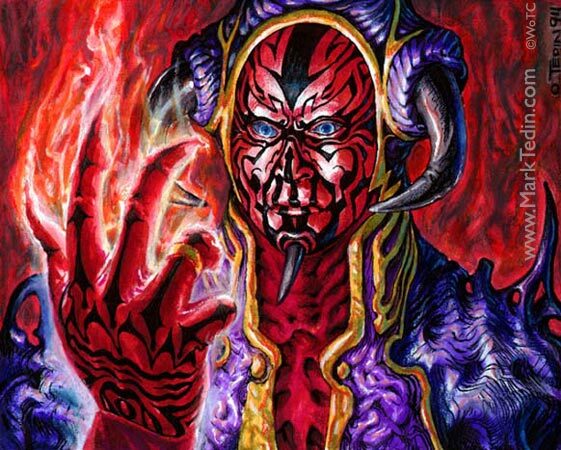 My favorite card is Juzam Djinn as it brings me back to when I first learned Magic. I love how we have both competitive and casual players, so there is a something for everyone. What’s something you enjoy outside of Magic? I enjoy preparing meals from Pad Thai and Sushi to Smoked Ribeye Steaks and Cajun Seared Salmon. I love the thrill of experimenting with flavors (like Yuzu), practicing how to improve recipes like Crab Rangoon or Mung Bean Spring Rolls, or making quick treats like Tamales. My favorite format is usually Standard – I love how much it changes and how it rewards innovation. But my favorite deck is Mountain Tribal (RG Scapeshift) in Modern – I have it fully foiled out, and about another 150 or so foils that have gone in and out of the deck at different times in different builds. I’ve played it RUG, 4 color with Bring to Light, Naya, Jund… my favorite card is Snapcaster Mage. One thing I really like about judging in Montana is that we have a much larger overlap between our judges and our players than most places. When the other L2s and I are putting our heads together to figure out who’s judging what, we aren’t just looking at who is available, because we know everyone available will show up to the event one way or another – we’re also looking at whose turn it is to play! It’s cool we get to see each other frequently even when we aren’t working multi-judge events. What’s something unusual about you? Something unusual about me: I rarely get hungry until I’ve been awake for several hours, so I rarely eat breakfast. Tacos are one of my favorite foods to make, for both lunch and dinner. Occasionally two facts together have led to stretches where I’ve eaten tacos for every meal for nearly a week. Favorite format is Modern by a lot. In my opinion, it rewards deck choice more than any other format, but also lets people play what they are good at regardless of how well positioned it is, and still do well. My favorite deck is Jund by miles and miles; grindy midrange that looks to win the game by just straight out-valuing your opponent will forever have a special place in my heart. My favorite card is Tireless Tracker, you get so much value just for playing lands! Don’t even get me started on how good it feels to fetch more than once in a turn for more clues. I think the thing I like the most about judging in Montana is that I’ve been able to be more involved in the community as a whole, and at least know most of the competitive players in the state since we have a much smaller “scene” since we are much smaller than places like Washington or Colorado. Outside of Magic, I’m currently a college student, and whenever I can I try to get in a session or two of DnD. Favorite format is Modern by a mile, favorite deck is Grishoulbrand and have done really well at competitive events with it. Favorite card is Norin the Wary. In my area there is always room for growth. When I first came to Corvallis I was the only L2 outside of the Portland metro area. I got to build up a community of judges both in my city (which a few are my good friends now) and the local city areas. Photography, disc golf, and does masters thesis count as an activity? Garbage Fire (only the foil version) I collect foils and own the original art. Portland has tons of stores all with different communities and focuses. There really is a store for every type of player and judge. Outside of Magic I uhhh, work at a shop selling Magic cards so uhhh, Pokemon Go and crossword puzzles. I love how the Utah area has some many judges and people willing to help judges grow and develop. Outside of Magic I enjoy playing video games (Destiny 2 right now) and painting miniatures from Warmachine. I do not play any constructed formats at all – none. Not Commander, not Pauper, no format where I have to have a deck maintained. My favourite format is Sealed and is my exclusive go to when I play. As such, I don’t really have a favourite deck at all. However, when I am thinking about decks or toying around with brews with my friends, I like decks that seem to be weirdly bad but tend to work. Most recently, I have been enjoying Hollow One in Modern. My favourite Magic card remains Standstill. I love the fact that Seattle is pretty much intense about everything. Almost anything here is extreme in some way. The whole community here is overwhelming. At any point in Magic history, whenever there is a change or some new announcement, folks around here will lose their minds. 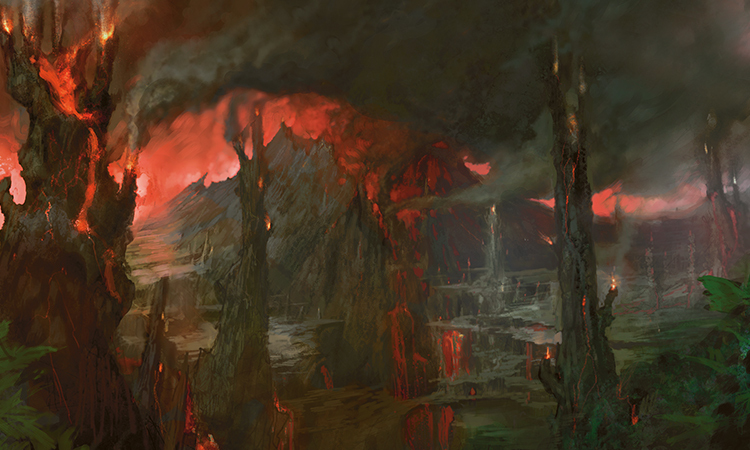 I am convinced that it is due to the presence of Wizards of the Coast actually being here and the local community being filled with not just many high-level people but many people with direct connections or contacts with Wizards and the entirety of the game’s infrastructure and/or history. It is a place where anyone who loves chaos, emotion, and bureaucracy can thrive. We are a city and region of big personalities, big opinions, and cults of personality. We have people who know where the bodies are buried. We have people who can make one phone call and create a wave of international speculation or consternation. These days, there is much talk about being in the “room where it happens.” Well, Seattle is that room. What’s one hobby or thing you do (activity or game) that you enjoy outside of Magic? I play a ridiculous amount of D&D and D&D adjacent games. Indeed, my whole path to Seattle and working at Wizards of the Coast was started in middle school when I thought it would be nifty to work at TSR just a couple of hours from my house. These days, it is even more intense as I am part of a YouTube channel that just films our games and puts them out into the world. What’s something unusual about you that you don’t think most of your magic friends know? I have an odd array of genetic anomalies that all seem to contribute to positive results. Throughout my life, I have had weird medical issues that, when diagnosed, seem to either be benign or actually contribute to life benefits. For example, I have a heart condition that is typically considered to be potentially fatal to infants and is typically repaired surgically shortly after birth. Because I did not die, and at my age, it is considered a bad idea to do open heart surgery, nowadays, whenever I am at the clinic, my doctor will call in every available doctor on the floor to come listen to my heart to see if they can figure out what it is that I have. Since it is super rare to find this in living adults, she has quite a bit of good fun with this. I have a similar oddity with my ocular nerve that makes any doctor looking at it think that I have cancer there and that I’ve lost at least 80% of my vision. However, it’s just weird and recently, after changing ophthalmologists, I forgot to mention it and gave him quite a start when he wasn’t sure how it was possible for me to have scored so high on the Humphrey Field exam I’d just taken. I’m newish to the Seattle area, but for me, community is always the priority in an organization like the judge program. We’re here to certify people to become the best judges they can be, to help host the best and biggest events, to help players have the best (and fairest) time possible. That said, Seattle is a city of such variety, and yet such focus. We have teams of players looking to grind toward the Pro Tour. Tons of stores of people focusing on casual EDH, as well as enjoying FNM in various formats across the metro area (yes, even Canadian Highlander or every Masters Set sealed deck), and even a few competitive series like the Legacy Preservation Series. That brings a great amount of perspective when our judges come together, and lets us share our diverse interests, backgrounds, and enjoyment of Magic to great effect and awesome events. I love the outdoors. Scuba, hiking, geocaching, gardening… The world is more spectacular than we realize. But I love a good board game and read a ton of books lately too. I’m also a Vorthos, and have read a large majority of story based materials that Magic has released. My favorite format is Standard. I love toolbox decks: Birthing Pod, Recurring Nightmare, Chord of Calling. Decks with answers to everything as long as the cards line up. My favorite card is Greater Gargadon. That monster causes all sorts of headaches for the opponent. An un-counterable sacrifice outlet and sometimes a hasty 9/7 for the win. The thing I like most about the Eastern Washington community is how diverse it is. Our competitive scene is thriving, sending multiple people to the Pro Tour and generating large numbers at the local PPTQs. The Commander crew has a large following. You could find a game that leans towards more casual or ultra competitive depending on your favorite flavor. Every sanctioned format has good representation. Legacy FNM, drafts any day of the week, and Standard and Modern sprinkled in to satisfy any player. Outside of Magic I play a decent amount of video games. I’m in school for Nutrition and really enjoy talking about the latest fad diet or what people can actually do to help themselves. Unusual facts about me? People either don’t know I was in the military or think I still am enlisted. I was, but not anymore. My favorite format is booster draft, but if I have to choose a deck then I’ll go with Protean Hulk combo in modern. My favorite card is Gempalm Polluter. The best thing about Magic in Seattle is that there are several great stores, and a lot of players who have been around for a long time. If you go to FNM at Mox Boarding House in Bellevue enough, you will meet some of the people that work on Magic. I enjoy playing video games, good food, and spreadsheets. My favorite format is probably my cube (it’s my baby, 540 cards unpowered and as of this writing only 19 cards away from being completely foiled), my favorite deck is whatever modern deck someone lends me (I love that format but my decks tend to be kind of a flavor of the week thing), and my favorite card is probably Ancient Silverback, because every time I see that card I’m reminded of first playing kitchen table magic with my friends. Urza’s Destiny had just come out and it was the precon rare. We had no idea how regeneration worked and basically thought it meant “cast it from your Graveyard for its regenerate costs”. I had a sweet deck designed to make me discard it and “regenerate” it on turn 2. (the first time I took this deck to a real tournament I was in for a rude awakening). One thing I love about our community is how close knit we are. The players that travel all know each other, the judge community is super close knit, and generally wanna see each other succeed. Every year I try to learn a new skill, to varying degrees of success. This year I’ve been learning how to hypnotize people. I also love board games (is kickstarter addiction a hobby? ).